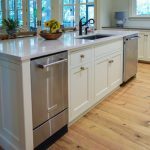 Kitchen remodels are some of the most popular home improvement projects in the nation, and for good reason, too. Not only are kitchens one of the most heavily used areas in the home (which of course also makes them one of the quickest places for wear and tear to take its toll), they are some of the most notoriously scrutinized rooms when it comes time to sell. Remodeling a kitchen won’t just improve appearances, it can also increase function, decrease energy consumption, and even raise your property value, too! 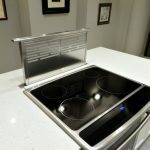 With all of these benefits riding on a single area of the house, it’s no wonder that so many Americans see kitchen remodeling as the wisest way to spend their home improvement dollars. 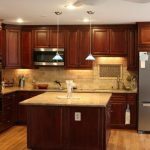 Since the cost of living varies so dramatically from place to place, it would be incredibly difficult (and incredibly inaccurate) to give a single figure as the bare minimum cost for kitchen remodeling. 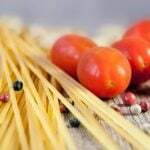 Many sources would put the national average for a full kitchen remodel at somewhere in the $50,000 range; however, in some areas of the country, fifty grand will buy you more than a kitchen. Because talking in specific dollar amounts can be misleading, when discussing a minimal kitchen remodel it is often better to deal with magnitude. 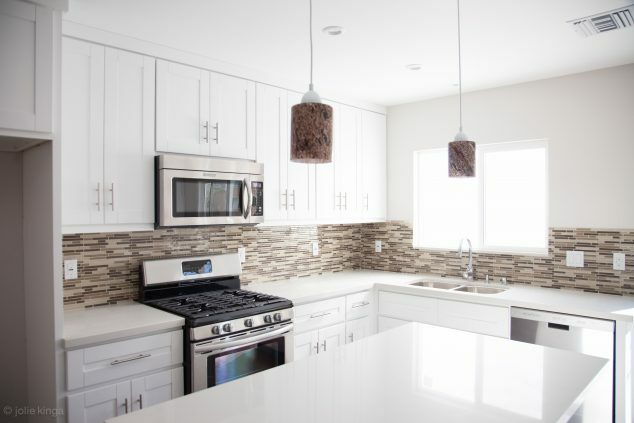 One of the best things for homeowners to understand when embarking on a kitchen remodel is that smaller scale renovations are the most successful. Not only do smaller remodels cost less and take less time, they are also more likely to return a higher percentage of their construction costs in added resale value for your property. The national average for smaller kitchen renovations is generally agreed to be somewhere in the $20,000 range. These more modest remodels tend to recover over 80% of their construction costs in many areas of the country! 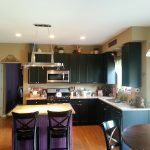 Need to find a pro for your kitchen remodel? 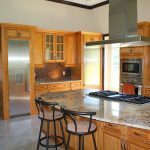 Smaller kitchen remodels achieve a whole new look without the incredibly involved work involved in their larger counterparts. 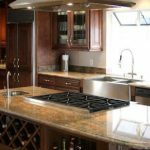 Instead of creating a whole new kitchen space, minor remodels focus on upgrading what is already there. 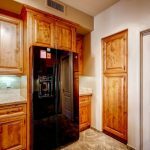 For example, instead of replacing all your cabinetry, a minor remodel would be more likely to improve the visible surface of the ones you already have. Here’s the trick to finding what you want at the right price: talk to several different remodeling contractors and get multiple estimates. Once you settle on one you find easy to communicate with (who offers you a reasonable price), then you can discuss the particulars of your project. 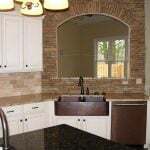 It might even be a good idea to ask your contractor how much it would cost to do a major kitchen remodel as well as what individual tasks he or she would include in a major project, then eliminate or alter these tasks to fit your means. There is such a thing as too much remodeling. 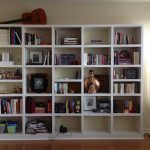 Though here, again, it would be hard to put a dollar amount on how much is too much, it is a fact that higher end remodels rarely recover as much of their construction costs as carefully planned smaller remodels. When we imagine what our new kitchens should look like, it can be easy to go overboard; talk to your contractor about how much average jobs in your area run and use this figure as a starting point. If you find yourself paying double or triple what everyone else in your neighborhood paid, there’s a good chance you’re spending too much!